I’m not feeling particularly prolific today so I’ll keep it brief. With Thanksgiving just around the corner, work has been piling up — which means loads and loads of writing. And sometimes, a girl just doesn’t feel like writing, ya know what I mean? So, I’ll keep it brief. I hope you’re ok with that :). You may be thinking, guava?? In the middle of fall?? Well, that’s California for you. I was lucky enough that my dear friend brought fresh guavas back for me after he went to visit family in LA. I haven’t cooked much with fresh guava, or even eaten it, so I was particularly excited and scared to experiment with it. Fortunately, this turned out fabulous. 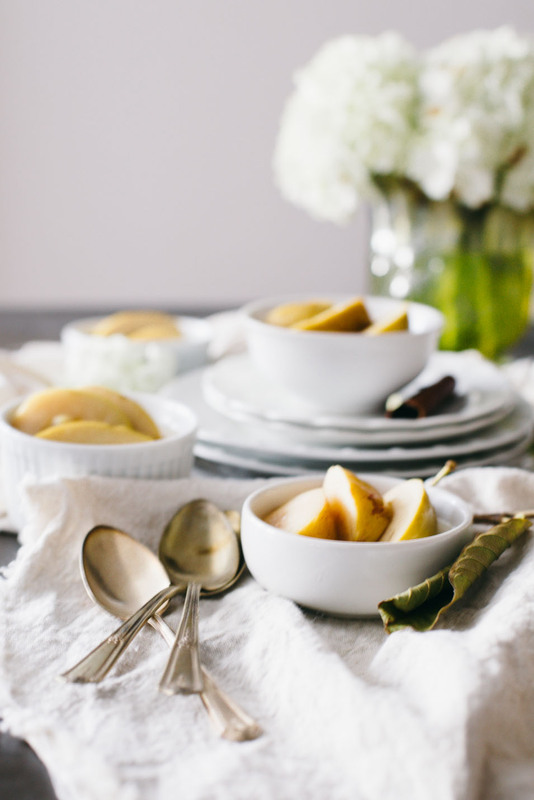 If you don’t have access to fresh guava, then any stone fruit would suffice for this recipe. 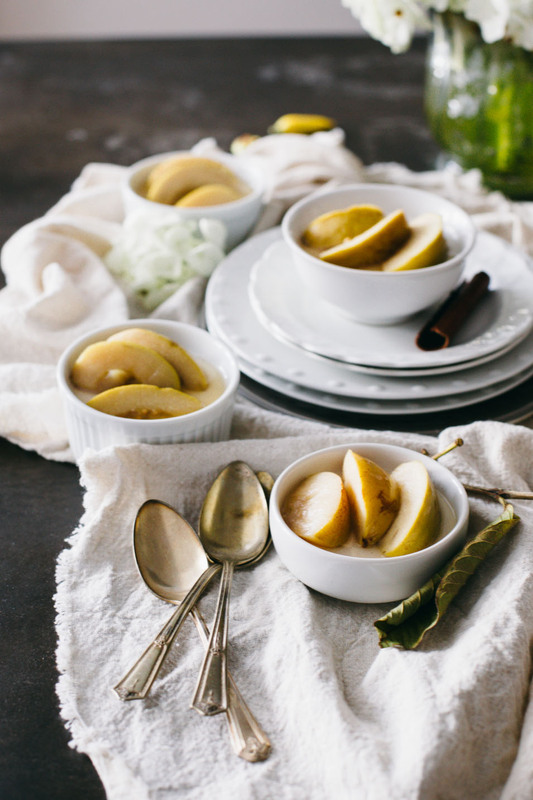 Start off by preparing the poached guava by bringing the water, sugar, and vanilla bean scrapings to a boil. When the mixture begins to boil, add in the guava. Let simmer for about 10 minutes. Remove the guava and then simmer the liquid further, until it becomes a thick syrup. 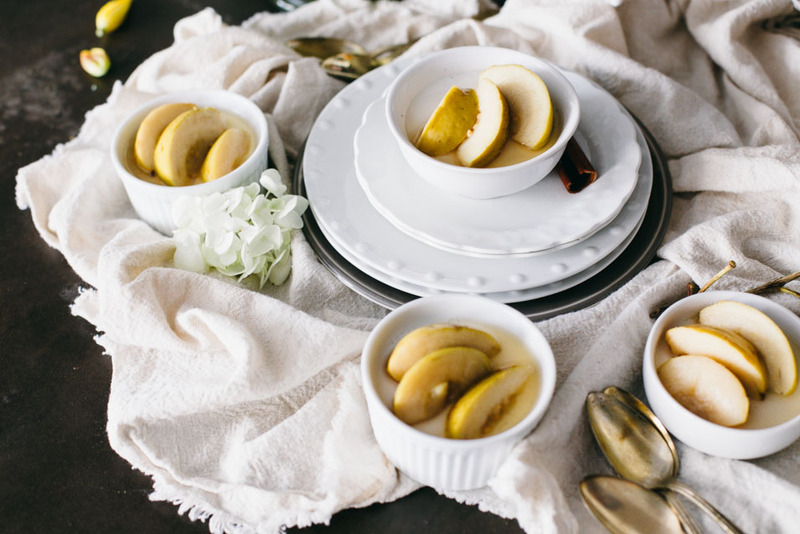 Prepare the panna cotta by sprinkling the gelatin over the 2 tbsp water in a small bowl. Let it bloom, where it becomes a thick gel like substance. Meanwhile, in a small pot, heat the coconut milk, sugar and vanilla bean. Bring it to a boil. Then strain the coconut milk into a mixing bowl. 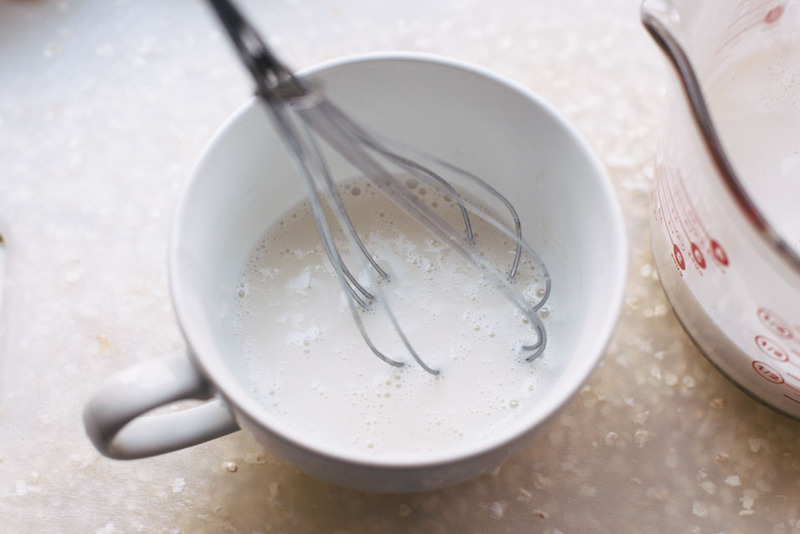 Whisk in a little bit of the coconut milk (up to a quarter of a cup) into the gelatin to help dissipate it. Pour the melted gelatin mixture into the rest of the coconut milk. 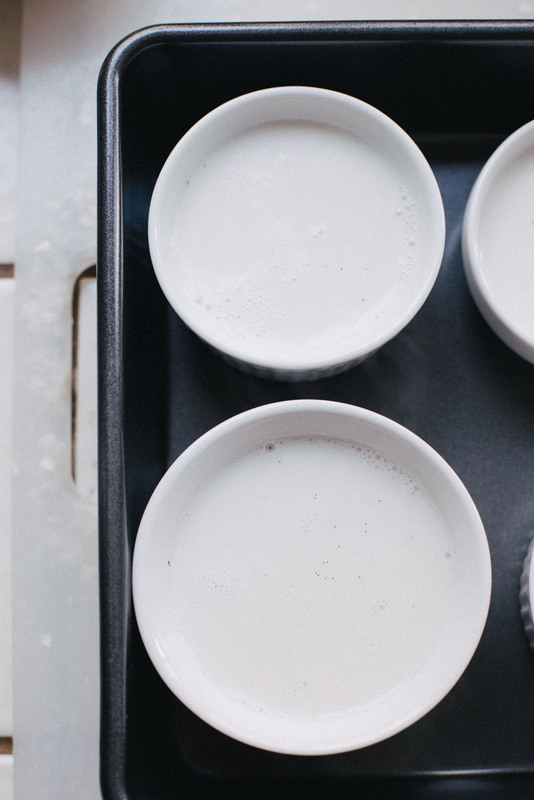 Pour into ramekins/jars and refrigerate for at least 4 hours. Top with sliced guava and its syrup. Enjoy! impeccable food styling to match such a delectable recipe!! Wow !! Your food unappetizing. I think that would be a way to make time for some food. Thank you for sharing great information to read, I like it.